Morocco’s Minister of Foreign Affairs, Taib Fassi Fihri, Monday night in Paris, highlighted a range of constitutional reforms initiated by King Mohammed VI as a wave of pro-democracy demonstrations continue to rock North Africa and the Arab world. Speaking in front of hundreds of people gathered at the French Institute for International Relations (IFRI) including former ministers, international relations specialists and political science experts, among others, Fassi Fihri, Morocco’s Minister of Foreign Affairs, revealed the North African Kingdom’s decision to overhaul its constitution. According to Mr. Fassi Fihri, the constitutional reforms will be "profound and audacious" and will help fight against corruption while strengthening the independence of the judiciary. The reform will also recognize the Amazigh national identity and enhance the powers of the Prime Minister. "This is a new stage for a new Morocco," Mr. Fassi Fihri noted during the conference at IFRI. The Moroccan kingdom has accelerated the Constitutional revision process. March 29, consultations with all political parties over the constitutional reforms announced March 9, 2011, by King Mohammed VI was began. The exercise is expected to end on April 7. 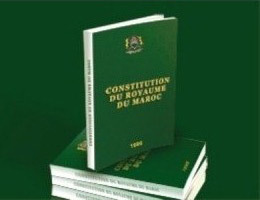 Monday in Rabat, the Advisory Commission to revise the Constitution, established by King Mohammed VI and under the supervision of Abdellatif Mennouni, president of the Moroccan Association of Constitutional Law, invited several political parties and unions to present their suggestions for the Constitutional reform. It is in this context that the Commission met members of both the Istiqlal party and Mouvement Populaire in Rabat where Prime Minister and Secretary General of Istiqlal party, Abbas El Fassi, announced that his party had proposed reforms in the seven areas outlined by the king during his last speech. But, Mr. Mohan Laenser, secretary general of the Mouvement Populaire Party, says his party will closely monitor issues on national identity, the place of the Amazigh language in the constitution, civil liberties as well as other types of freedom demanded by Moroccans in recent decades. After the King’s speech which called for the participation of civil society, especially the youth, to actively contribute to change, many Moroccans have launched initiatives to involve the wider society in the reform process. Analysts say that the King is ready to make efforts aimed in part to devolve greater power to Morocco’s regions, improve the independence of courts, and ensure that the prime minister is selected by the majority party in parliament. Seeking to raise awareness among Moroccans over the Constitutional reforms and also promote an open debate on the provisions of the Constitution through a social forum, two Moroccan computer engineers launched Réforme.ma. The website’s principal aim is to offer Moroccans a window to showcase their suggestions with respect to the announced reforms. Réforme.ma presents the Moroccan Constitution in its present state, while offering users the possibility to post their proposals. Early March, King Mohammed VI announced the creation of a new public agency for Human Rights. The National Council for Human Rights (Conseil national des droits de l’Homme — CNDH) replaced a previous board that had a purely advisory role. The decision came at the heels of demonstrations that took place in the northern African country on February 20, 2011.